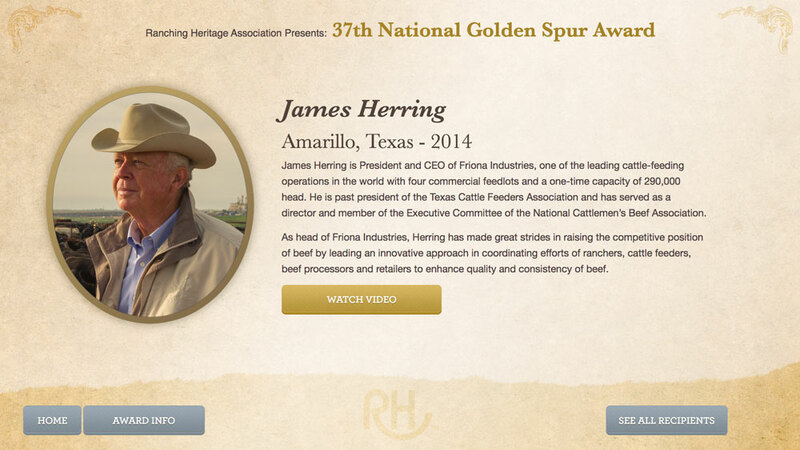 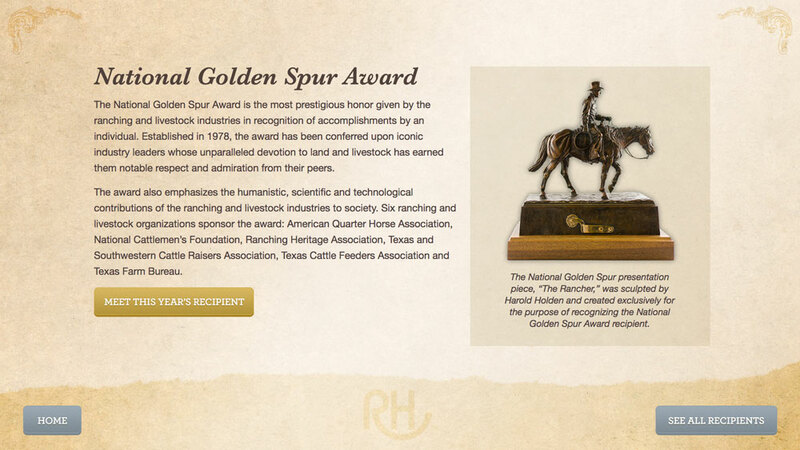 The National Golden Spur Award is an annual award presented by the Ranching Heritage Association. 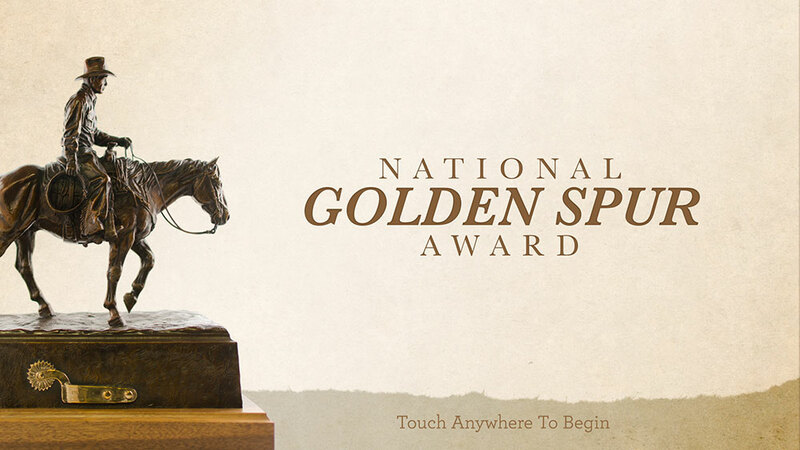 The kiosk serves as an interactive and multimedia catalog of each year’s recipient. 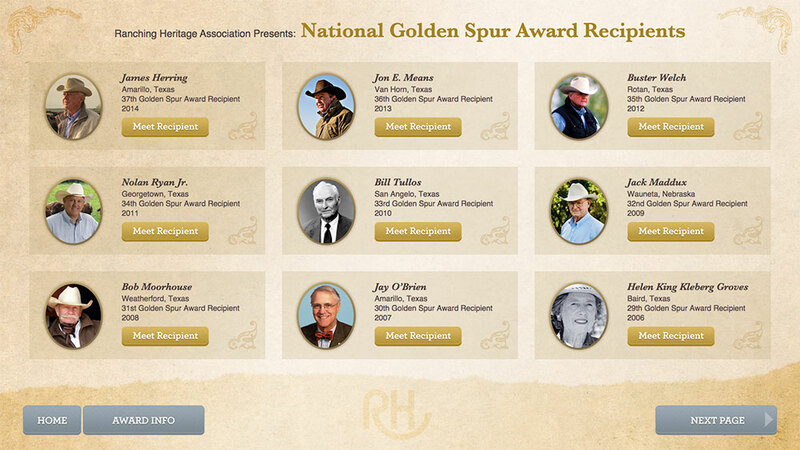 The touchscreen kiosk allows viewers to read biographies, see photos and watch videos of each person awarded this prestigious honor. 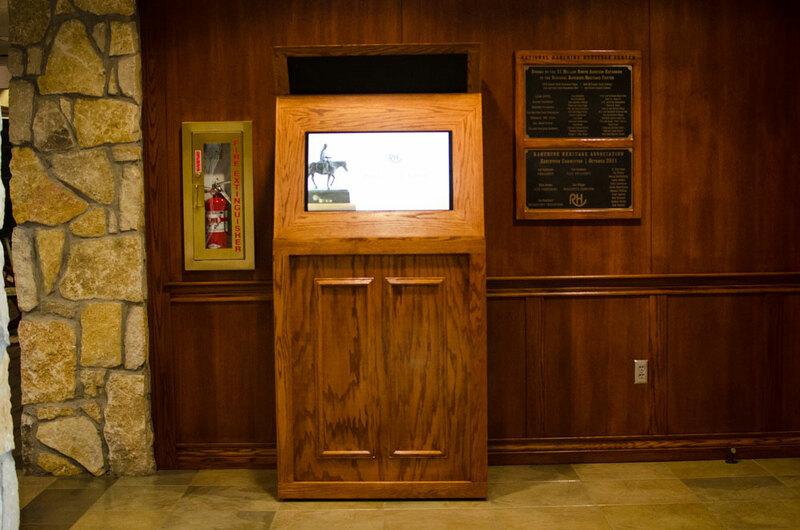 The digital equipment is housed in a custom red oak cabinet and is built on high quality casters so the kiosk can be moved around the museum with ease.